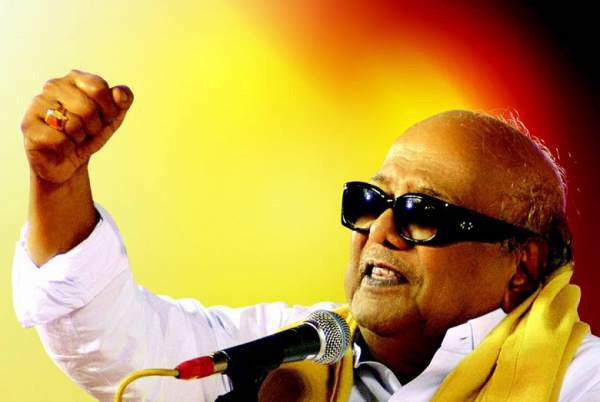 Karunanidhi Health Condition: The DMK political party has postponed its General Council Meeting as its chief M Karunanidhi is recovering in hospital. The meeting was supposed to take place on Tuesday. DMK General Secretary K Anbazhagan told everyone that the new date would be announced later. There are many intense speculations. One of them is that the meeting’s agenda was to place party treasurer MK Stalin as the Working President as the current party President, the 93-year-old Karuna Nidhi is facing health issues for a couple of months. But, a DMK spokesperson termed it as a rumor. On Thursday, Karunanidhi was admitted in the Kauvery Hospital in Chennai. It was the second time in the last two weeks when he turned to hospital after facing breathing difficulties due to a throat and lung infection. They took him under a tracheostomy yesterday and said that he is stable and on antibiotics. Check: Soldiers Died in Turkey’s Kayseri As Car Blast Hit Bus. Today, the Congress VP Rahul Gandhi visited M Karuna Nidhi and wished for his best recovery. The official press release of the DMK stated that Karunanidhi would remain at the hospital for several days until the treatment gets over. Moreover, the party has asked everyone including party workers and friends to not to visit him for some time now. At first, DMK had said the chief had suffered a drug-induced allergy. However, the hospital said he was admitted for the treatment of optimization of nutrition and hydration on December 1. After a week, he was discharged and then readmitted on Thursday.